eSports is already one of the most disruptive trends in gaming, media, and location-based entertainment. While VR eSports resembles traditional eSports, there are several key differences. In Greenlight Insights' new report, get the key regional, distribution, and content trends defining this hyper-growth market. 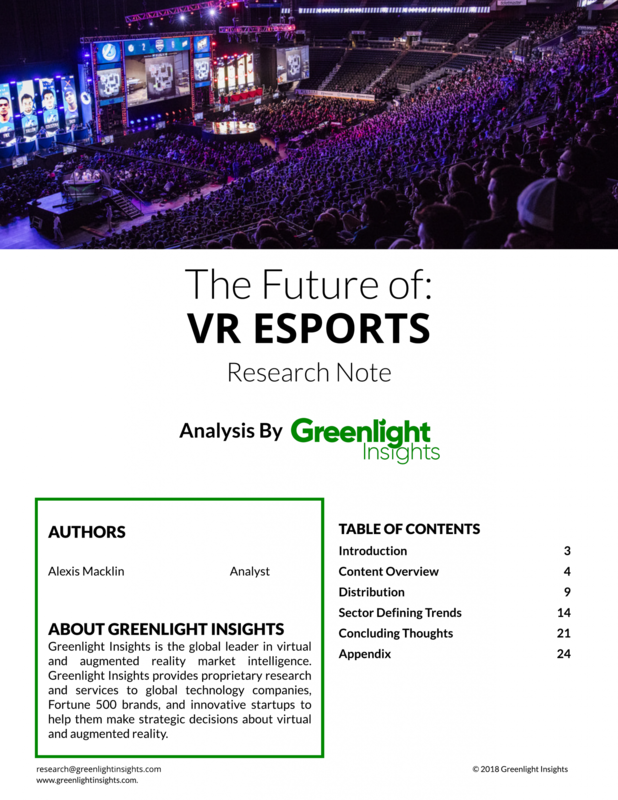 Is VR + eSports ready for mass adoption? Where is VR eSports trending fastest? What is the current & future state of distribution? Which content titles are best positioned for success? Financial statistics & forecasts are delivered as Excel file.